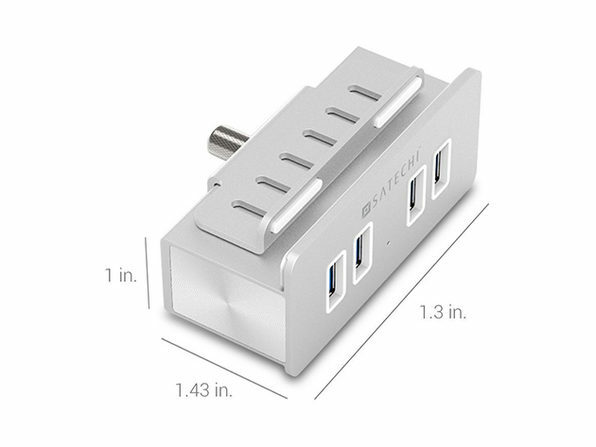 Many USB Devices, Few Ports? 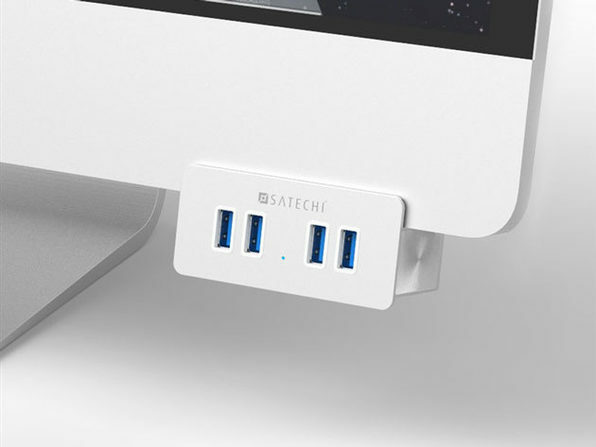 Clamp on 4 Additional USB 3.0 Ports, Make Life Simpler. 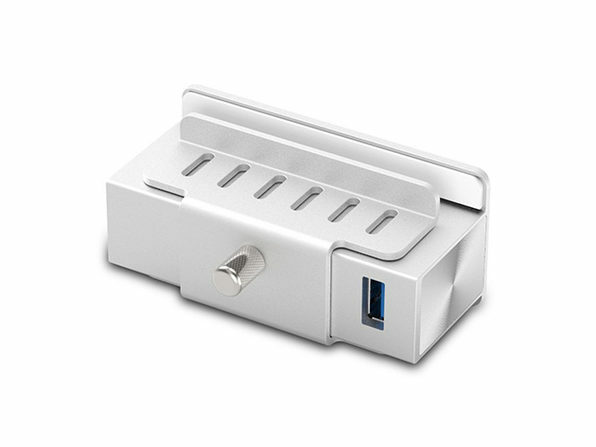 Plugging USBs into the back of your computer can be like searching for a needle in a haystack. 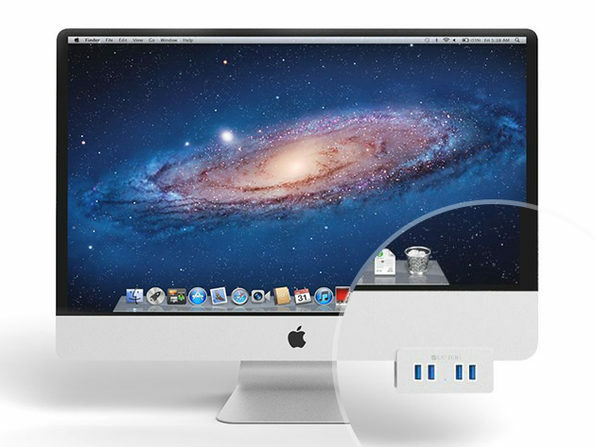 Make life a little easier with 4 easy-access ports that seamlessly clamp to the front of your Mac or PC. 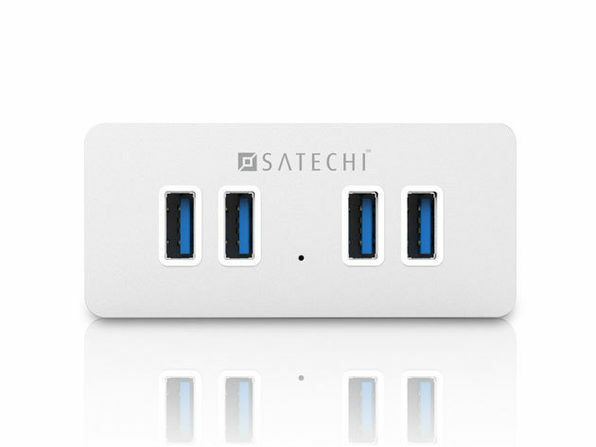 The Satechi Hub provides easy charging, easy access to your vital devices, and is even easy on the eyes.